Spirituality and sustainability need to be the basis of any design to create the human world (or worlds)....Be it domestic, everyday-use products, educational products/services, machines, formal and informal organisations, art, built environment, strategies and operations, public services...anything we bring into the human world (or worlds). Such creative and mindfully constructed designs would help move the human agenda forward in harmony with Nature and the Cosmos. There is a body of knowledge out there directly and indirectly-related to the spiritually-engaged sustainability worldview-worldfeel worth looking at...to grow the orientation, or to consolidate it. See Here. Sustainability is distinguished from sustainable development here. Sustainability is a critical orientation and a way of Being. It is not about the nature of economic development or growth...It is about value creation for a sustainable way of Being within limits. 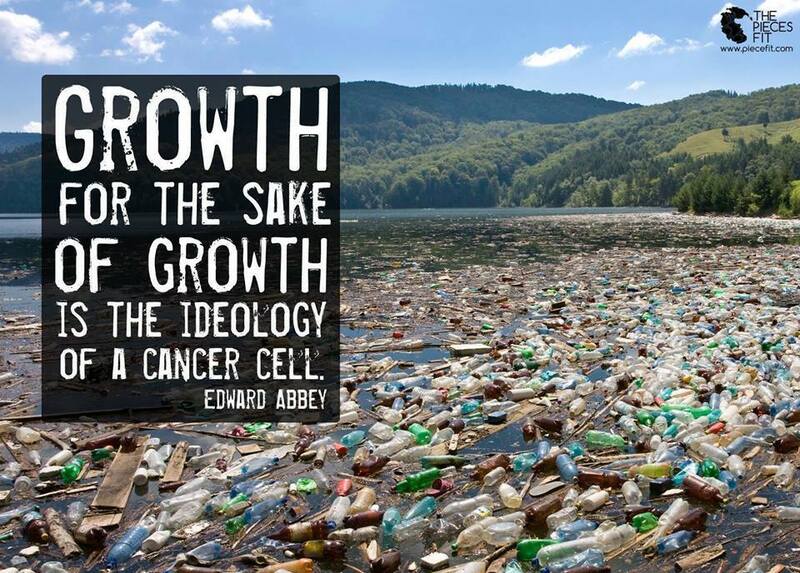 It is about a critique of growth and a focus on de-growth. The distinction is similar to the distinction between spirituality and religion. Spirituality is, normatively and in practice, the basis of religion, religiosity and religious institutions. It animates religious life. But spirituality is not religion. Spirituality offers us an understanding of our place in the 'larger picture', our intimate and dependent connectedness to the larger cosmos, either as forms of matter or energy. It offers us a cosmological point of view, which is essentially an inclusive experience of an interconnected totality, linking Time and Space horizontally and vertically. To take this awesome path, we need to un-learn, to move away from our usual modes of thinking and being, that focus largely on disaggregating, through violent dissections, of the world around us. We need to also move away from feeling-and-acting shaped (or trapped) by crude materialistic worldviews and lifestyles that contribute to the ‘Good Life in an unsustainable Consumerist Utopia’. We need to move away from a life trapped in the world of commodities in all its limits. Spirituality gives us a sense of wonder and awe at Creation and its creative processes, and it evokes humility. It encourages love and compassion as preferred sustainable states for all to live together in dialogue, peace and harmony, now and for the future. We engage with the world -- individually or collectively -- by Being and Acting with the Other in mind, not by ‘Possessing’ or ‘Having’ or 'Taking' or 'Just Talking'. Spirituality encourages an engagement way with non-materialism and ‘non-materialistic development’, offering a different understanding and experience of engagement, communication, achievement, leadership, accomplishment, ownership, involvement, adventure and fun. The inner core of spirituality radiates an awareness of all-round sustainability -- our engagement with all living and non-living things, our personhood, our choices, our social and technology designs, and our place in the universe (or in an universe of ‘multi-verses’). To have a spiritual experience is to meaningfully and mindfully sense our-selves in deep interconnectedness/interdependence and balance, to engage with the universe (or a universe of multi-verses) and to act from that reflective self-consciousness. Spirituality is a sure orientation to wean us away from the “business-as-usual” approach to sustainable development. It is a way to re-cast the imperialistic profit-motive to one that grows an integrative humane society which focusses on well-being and happiness. It provides an orientation at value creation beyond the productivist paradigm. Thus, it transforms the economic impulse as sustainable value creation, distribution and exchange for a human society, not as the development of commodities, of product or services for the market. Sustainable value creation is not necessarily about growth. And if it is about growth, the focus is on the nature, direction and leadership of that growth. Spirituality, rooted in inter-being, helps us to move away from monologues to dialogues to 'multi-logues' to fully bloomed democracy. It opens and grounds inter-faith dialogue, which must recognise inter-faith spirituality. It will free us from structures of educational/learning short-sightedness that produce 'products' for the exploitation-based economic system. Spirituality is not passivity in the face of exploitation. And it is not blindly inclusive in the face of sectarian interests and violence. The articulation of immanence and transcendence, aspects of spirituality, help us break interior and external sectarian boundaries to promote the social practice of totalising inclusivity. * (1) There is a mistaken notion that any serious discussions on spirituality belong to the new age movement (NAM). The spiritually-engaged sustainability (SES) orientation proposed here is not inspired by NAM and is significantly different from it in orientation. See Here. (2) There is also a mistaken notion that any discussion on spirituality must necessarily involve religion. There are many ways in which spirituality and religion are discussed. The SES orientation holds the view that spirituality and religion are different and spirituality is the basis of religion. In a sense, there can be "secular spirituality". (3) The SES framework also holds the view that spirituality should not be the monopoly of religious institutions and people. It should be articulated by social sciences, by environmentalist/ecologists...by anybody who is interested in our 'collective and differentiated' inter-connected futures. (4) There is also a mistaken notion that spirituality is about 'unconditional inclusivity". While inclusivity is crucial to spirituality, this does not mean there is no role for social critique/criticism of exploitative, unjust and unsustainable realities or deep structural transformation to further the cause of 'authentic' inclusivity. (5) Academics and public intellectuals of a 'traditional' Marxist persuasion somehow continue to not engage with spirituality for various reasons, or because of a misunderstanding of Marx's view on religion. But consider Marx's own elaboration of "communism" in EPM of 1844 : "Communism is the positive supersession of private property as human self-estrangement, and hence the true appropriation of the human essence through and for man; it is the complete restoration of man to himself as a social – i.e., human – being, a restoration which has become conscious and which takes place within the entire wealth of previous periods of development. This communism, as fully developed naturalism, equals humanism, and as fully developed humanism equals naturalism; it is the genuine resolution of the conflict between man and nature, and between man and man, the true resolution of the conflict between existence and being, between objectification and self-affirmation, between freedom and necessity, between individual and species. It is the solution of the riddle of history and knows itself to be the solution." 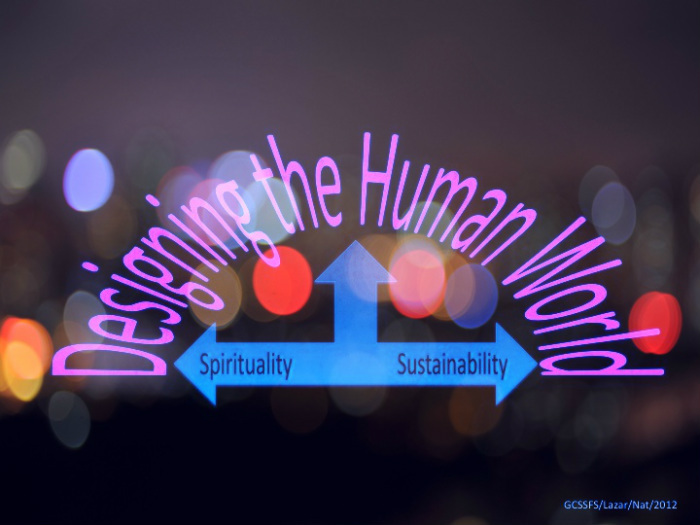 We believe that the highlighted observation above points to the same concern of a socially-engaged spirituality and spiritually-engaged sustainability. It is a breakdown of all artificial barriers and a self-conscious and totalising inter-connectedness. (6) Sustainability, Spirituality and Religion are not reified realities. All can be subjected creatively to historical and social analysis. However, we need to keep in mind that we may not at present have the tools or methodologies adequately developed to comprehensively address a reality like spirituality. And the crude privileging of scientific knowledge as the only valid knowledge may also need to be challenged. The Human World is a Design. Any design (of product, services or associated institutions) need to reflect deep sustainability concerns (and follow sustainable design principles). It is important to keep in mind that "designing is political" and not merely a technical activity. Check discussions on anti-growth or no-growth perspective/orientation. Our futures will depend on our dematerialisation values, orientation, and practices. We need to let go; we have to learn to let go. And live 'lightly' on Earth. 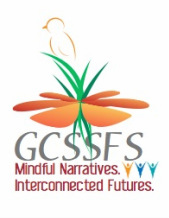 Re-creating/co-creating the human world and building new narratives and lifestyles through spiritually-engaged sustainability and socially-engaged spirituality.